I used to go to this school and I was a prefect then and pictured 5th from top left. Hi Jackie. I think I remember you from School. Janice Nicholson was left of Jean Hitchcock. 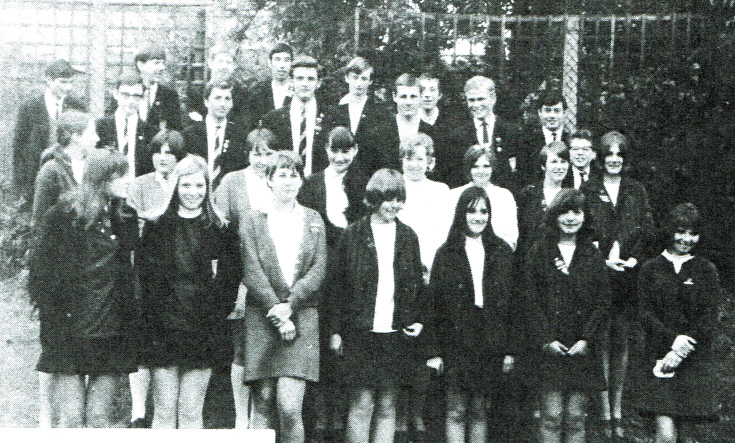 Front row 3rd left Linda Parker, deputy head girl. I remember all the lads in picture also.